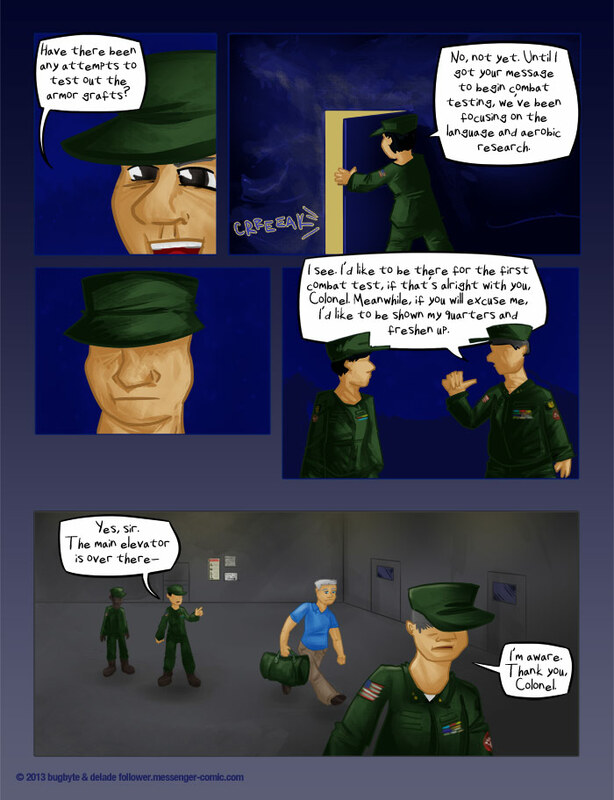 Velox 8: Thank you, colonel. There’s a surprising amount of setup going on in this page, so there’s your free hint courtesy of Captain Obvious. I mean Captain Bug. I mean uh, enjoy! 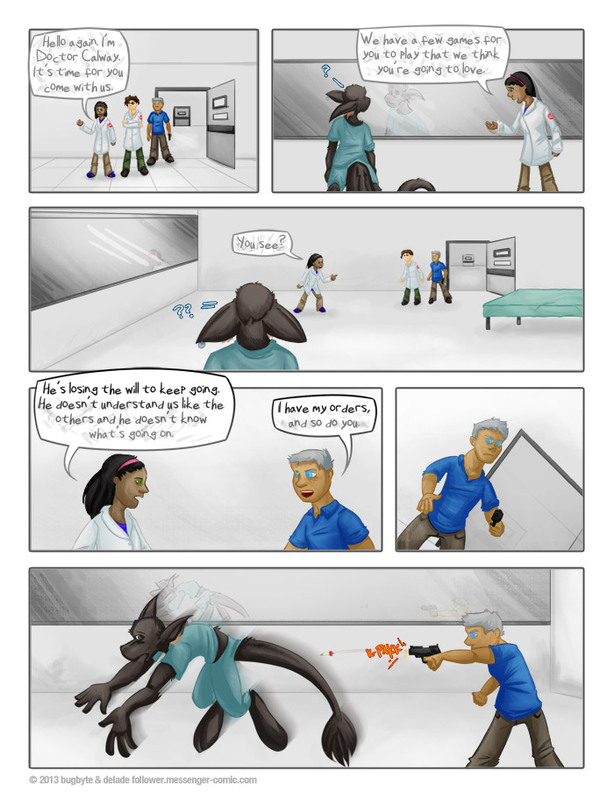 Improvements 33: Keep me apprised, doctor. Time to talk about the Armor Graft Project! 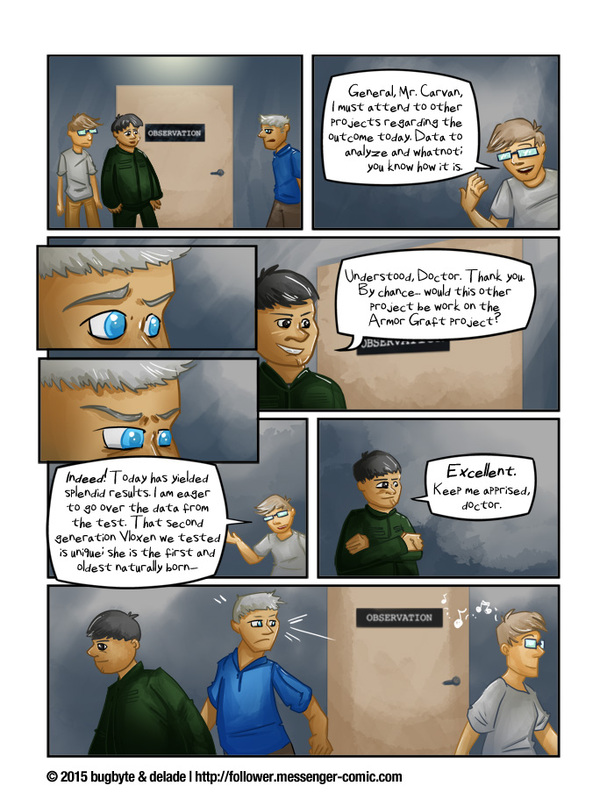 In other news, Follower was featured on Prettycoolwebcomics this week! Please check out their wonderful review and give the post a reblog! There are several new rewards up for Patreon backers, too, including this month’s wallpaper image and the February sketchbook!